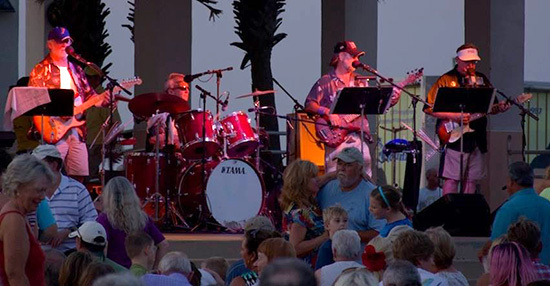 Touch of Gray will be playing at Bands on the Beach Tuesday, April 16 from 7-9 p.m. at the Gulfside Pavilion. The group Touch of Gray has been playing classic rock in the Pensacola area for the last eighteen years. They have played for Bands On the Beach, Bands On the Blackwater, Navarre In the Park, the Seafood Festival, benefits, private parties, and numerous Fiesta group events. All four members are accomplished lifetime musicians that can capture the true essence of the songs they perform. A night with Touch of Gray is a night to reminisce, dance, and enjoy classic rock the way it should be played! !